It wasn't a conscious decision to not read many series books in 2016, but that's the way it sort of went. Besides the books I'll be mentioning in this post, I only read two other books in a series. One being the third in an unknown number of books in the series (All In by Jennifer Lynn Barnes in the Natural series) and one other book that is tentatively linked by the setting (Defending Taylor by Miranda Kenneally in the Hundred Oaks series). The rest of the books I read in 2016 (admittedly I didn't read that many books this year, especially in comparison to previous years!) were all standalone books, non-fiction books or poetry books. 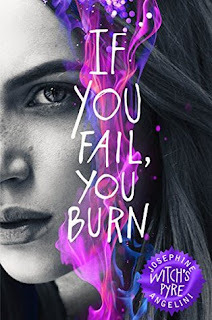 First, I finished the Worldwalker trilogy by Josephine Angelini. I was actually a little bit wary to start this trilogy. Especially as I read the first book in Angelini's Goddess trilogy, was really engrossed in it, felt excited to continue the trilogy... and then couldn't find my feet in the second book in that trilogy. So it was with some trepidation that I started the Worldwalker trilogy. And I needn't have worried. I found all three books in the trilogy immensely readable and highly addictive. It's about alternative worlds and witchcraft, responsibility and that blurry line between good and evil and how and when you cross that line into doing bad things for the right reasons. 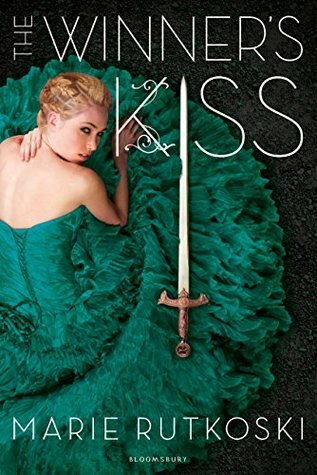 It's also very much a love story at the heart of these books but I loved that there is also much else around this book that gives it its heart other than Lily's romantic entanglements. While I didn't think that Witch's Pyre had the emotional highs that I loved so much in the second book, I felt like there was a good conclusion to both Lily and Lillian's stories as well as the worlds that are inhabited and an outcome that was satisfactory, at the very least. I felt like some of the set-up for the ending took away a little bit from the pace of the novel but I was still there with these characters all the way up to the end, I still wanted the best for them, and I was happy with the way things ended. A little bit good, a little bit bad. It kind of fit with the whole trilogy's themes of blurry grey patches in between the black and white of morality and good and bad. I enjoyed it and I can very much recommend this trilogy for fantasy lovers, for those looking for adventure, addictive reading, a great heroine at the heart of the story, romance lovers. The Winner's trilogy by Marie Rutkoski has been one of my favourite trilogies ever. I was completely blown away by the first book in the series (The Winner's Curse), I thought the second (The Winner's Crime) was somehow even better building more and more on what I loved about the first book in the series and, if I'm honest, I was so nervous to start the third and final book in the trilogy, The Winner's Kiss for fear of this third book wouldn't live up to the others, that somehow I'd find a way to be disappointed. In the characters, in the relationships, in the way the story progressed. That is why I put off reading this book for such a long time. Someone needs to go back and shake past-Michelle. Past-Michelle was an idiot. Because The Winner's Kiss was everything I wanted in the conclusion to Kestrel and Arin's stories. And for all of the characters. This trilogy was so much about strategy and political intrigue. I loved how much this book is about politics and how much the lies and decisions of the things they'd done in the past weighed heavily on our characters. It's also a book about friendship, about memories, about family and priorities. This book and the entire trilogy felt so incredibly emotional to me. I was constantly crying or laughing or had my heart in my throat wanting to know what would happen next, how could this characters live with the actions they've done? The entire cast felt so real to me, the characters of Arin and Kestrel in particular. And while I was happy with the ending given to them both, I was also disappointed that I would no longer be living alongside them in this world that Marie Rutkoski created. 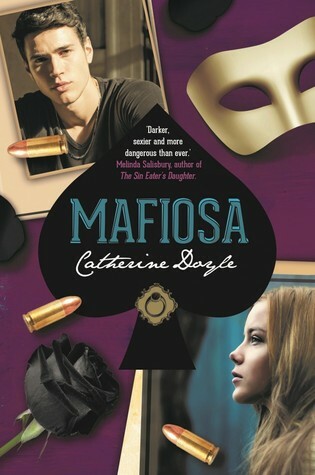 And the third and final book I wanted to talk about today is Mafiosa by Catherine Doyle the third book in the Blood for Blood trilogy. Wow, I love this trilogy so much. It was originally pitched to me as a modern day Romeo and Juliet set in Chicago with two warring Mafia families. And I think what that mini-description misses out is the huge cinematic feel to this story. Where all the characters and events from gun battles and explosions and heart-wrenching conversations under the stars all feel so real. So real that I sometimes forgot I was reading this book as opposed to living it. The stakes were high in Mafiosa, right from the very first page I worried for the main character, Sophie. That she was in too deep, that the actions at the end of the second book would eat her up, that being involved with the Mafia in the ways she has been would change her too much. I worried throughout most of the book, in fact. I loved the surprises in this story, I loved where everything ended up going. I felt so connected to the story, so emotionally invested. I knew there couldn't be a happy ending for everyone involved, but I liked how each character, even some of the minor characters, were able to shine a little bit on the pages of this story before the end. Before their ends. Again, I didn't want this story to end. I loved Sophie. I loved Millie. I loved Luca. I wanted it all for all of them. But I'm happy that they all got endings that were right for each of them. Everything felt pretty true to their characters and I love that I have such a strong opinion what would be true for these characters because of how well Catherine Doyle delivered them on page. This trilogy definitely comes very highly recommended from me! Did you finish many series books in 2016? Which were your favourites?